All of the decorative, hand forged, iron details on our luxury furniture is created in our factory by our resident blacksmiths. 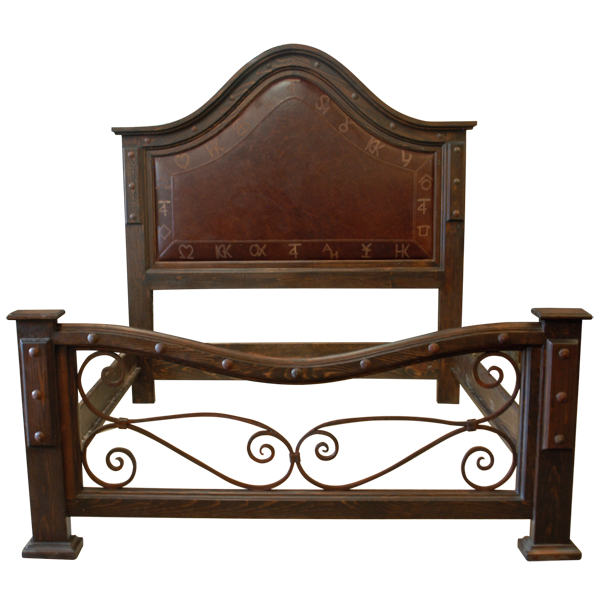 This handcrafted, Western style bed has a curved headboard with an arched top, and hand forged, iron nails are intermittently hand tacked below its top rim. The padded front of the headboard incorporates two, contrasting styles of fine leather. The inner section of the headboard is covered with luxurious, brown, patterned, full grain leather, and the outer section of the headboard is covered with rich, dark, brown, full grain leather. The leather on the outer section is embellished with various, hand sanded, ranch brands, and the junctions of the leather are double stitched together for extra strength and durability. The headboard is framed on each side by solid wood uprights, and the front of each upright is accented with hand forged, iron nails. 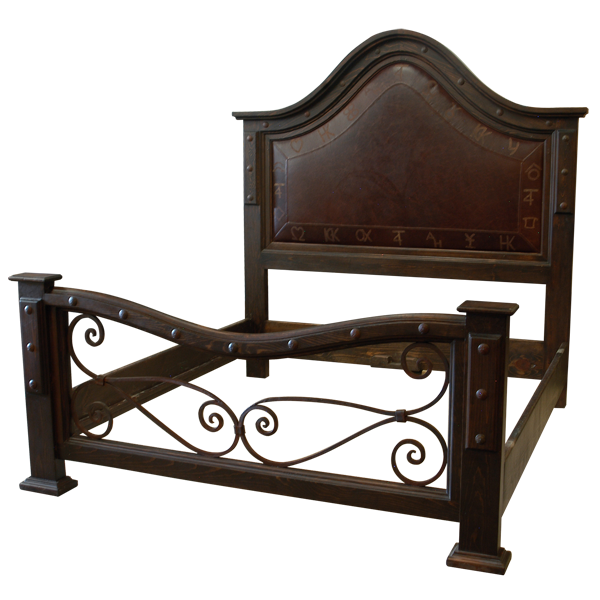 The footboard has a curved top, made from a solid, timber beam, and the front of the beam is embellished with a curved, hand forged, iron, decorative structure and hand forged, iron conchos. The front of the footboard is open, and the open space is adorned with scroll, hand forged ironwork. 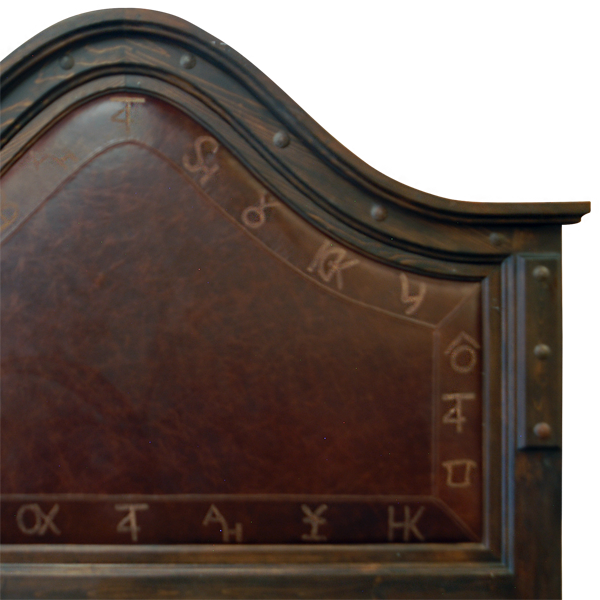 The footboard is framed on each side by solid wood uprights, and the front of each upright is highlighted with hand forged, iron nails. The top of each upright has a decorative, square, top molding. The bed has a solid wood, structural base, and it rest on staggered, square, molding feet. It has an opulent, dark finish, and it is made with the best, sustainable, solid wood available. The bed is 100% customizable.